Around the 26th April 1536, Queen Anne Boleyn met with her chaplain of two years, her “countryman”, 32-year-old Matthew Parker. Parker recorded later that Anne had asked him to watch over her daughter, the two-year-old Princess Elizabeth, if anything happened to her. Anne was entrusting him with her daughter’s spiritual care. 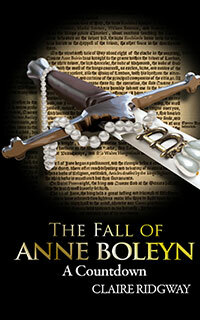 Did Anne Boleyn have an inkling that she was being plotted against? Trivia: Matthew Parker became Elizabeth I’s Archbishop of Canterbury. I was under the impression (according to Alison Weir’s Book “The Six Wives of King Henry VIII”) that Anne Boleyn entrusted her daughter’s well-being to Thomas Cranmer prior to her death? I have never found any reference of Anne entrusting Cranmer with Elizabeth’s well-being but Parker himself referred to Anne charging him with this task, in the last words she ever spoke to him, in letters written to William Cecil, Lord Burghley in January 1571 and October 1572. (Correspondence of Matthew Parker, ed. Bruce and Perowne, p391 and 400). 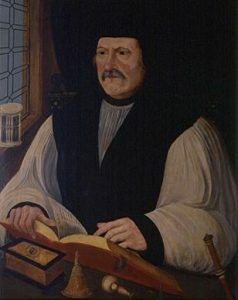 He also referred to it in a letter to Sir Nicholas Bacon in March 1558, saying that Anne had spoken to him “not six days before her apprehension” (The Correspondence of Matthew Parker, D.D., Archbishop of Canterbury : Comprising Letters Written by and to Him, from A.D. 1535, to His Death, A.D. 1575, p58-59).